Many of my patients come in and think they have poor blood flow just because their feet get cold at night, their feet get cold in the wintertime, or their feet get cold when they are in bed. Just because you have cold feet does not mean you have poor blood flow. Cold feet is actually something that happens as your body tries to maintain its core temperature. The core temperature is the temperature around the heart in the central area of your body where all of the most important organs are. In order to do this, the body many times shunts the blood flow from the periphery, such as your hands and your feet, and it moves it more to the center by shunting that blood flow to keep the center of your body warm. Once the center is very, very warm, then it is going to open up those blood vessels and allow the blood flow to go to the area and warm them. Some people in the wintertime though, they notice that part of their hands or part of their feet or toes become white and many times, this is a condition called Raynaud disease, which causes this whitening or lack of blood flow in that area. An easy way to tell if you have Raynaud's is when you go outside, your toes or hands become white and you have to wear extra amounts of either gloves or shoes. This can be evaluated by a circulation doctor. 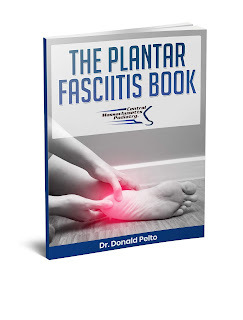 If you really want to check out how your blood flow is though, an easy way at home is to put your hand on the top of your foot right between the first and second bones on the top of your foot, that is your dorsalis pedis artery, and you can also put behind your ankle bone on the inside and you should feel a bounding pulse. That is called the posterior tibial artery. If you are not sure, you could see a professional and they may order something called an ankle brachial index, which is just an evaluation of how your blood flow is.